The Christian mission’s opportunity before us is enormous. That’s why we ask for your help. This website has up to 23,000 visitors per month from over 130 countries around the world. It is growing. The internet goes where Christians dare to tread. To date, some 900 have enrolled in at least one course of the online Bible Academy. We are able to help hundreds with their questions. 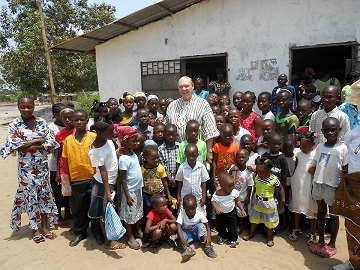 We also have direct on-the-ground mission opportunities (including a Bible School with 150 pastors enrolled) in West Africa. We offer all the material free, which is a special benefit for those in third world countries who live on a meager hand to mouth subsistence. That is why we ask for your help. Please prayerfully and financially support this anointed ministry. We are a non-profit 501(c)3 registered in the United States. I invite you to read the following reports, explaining various facets of the ministry. Based on the Bible, (Philippians 4:15-17; 1 Corinthians 6-8; Matthew 6;19-21), your generous gift is an investment in the precious work of Christ that also results in great reward for you in heaven. Not everyone can go do missionary work overseas; consequently, we consider ourselves as your channels for your investment in overseas missionary work. To learn more, it is best to start with the Overview Paper, which gives more detail to what we do. We so appreciate your interest. Dr. Willis and Esmie Newman and team.